Blogging is an important part of marketing your brand, your business, and your expertise. Getting your blog in front of potential customers....priceless! RPCN has a relationship with the Eastman Business Park where we provide blogs to educated their tenants. Want to get involved in this blogging program? Learn about how to blog, the benefits of blogging, and how to participate in RPCN's Eastman Business Park blogging program. Learn why you should blog for your company. Learn tips for creating great blogs! Laurie Enos is an energetic force of marketing savvy. She is co-owner of Blue Lilac Marketing Group. She has over 20 years marketing experience working with companies in varying fields. Her clients range from restaurants, retail shops, and a jewelry designer to financial investment firms, start up software companies and a large consulting firm. 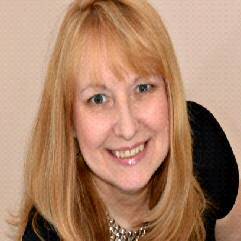 Laurie works strategically with her clients to create powerful and elegant marketing solutions. She has deep experience in the corporate sector, and gladly left it to pursue a more personal, boutique style of business. She's ready to deliver value at every turn! Sandy Glanton has been writing all her life. She had a poem published in high school in the Anthology of American High School Students. She wrote for the high school newsletter and yearbook. Sandy was the first woman to graduate from Monroe Community College with an Associate degree in Electronics Technology. She was hired at Xerox Corporation as an electronics technician. She ending up working there for 34 years as an electronics technician, trainer and facilitator, technical writer, training developer, and project manager. Sandy has returned to her creative side in her own business called Projects Accomplished! She is an accomplished Writer, Writing Coach, Editor, and Project Manager. Sandy has been scheduling, writing, and editing blogs for the Rochester Professional Consultants Network (RPCN) members to submit to Eastman Business Park (EBP) since late 2016. Sandy also took over responsibility in 2017 for directing and training the 2018 RPCN Small Business Boot Camp.Refreshments will be available. Meeting Sponsorships are available. For more information and to sign up to be a meeting sponsor, CLICK HERE. Location: Pittsford Community Library, 24 State Street, Pittsford, NY 14534.